Impressions of Tartu– A city in Estonia and the BAAC Conference 2008: ”Transformation as Stability: Audiovisual archives in the Era of new Media”. It has developed into a tradition that the papers and documents presented at a BAAC event you find at the website also is completed by a more personal reflection on the programme, the venue and the event as a whole by a delegate. We have understood it to be an appreciated “shortcut” to the event for those who didn´t have the opportunity to participate or just want a brush up of the memory for the reporting back to one´s own organization. “Transformation as Stability...” was the heading of this conference and I can´t find anything more suitable for a place like Tartu with its long history, its great number of instutions to preserve the Estonian national heritage and its vibrant acivity through the city´s great number of students exploring for the future. It is always interesting coming to a new city in the Baltic states since gives you still another view on European history and cultural multitude. 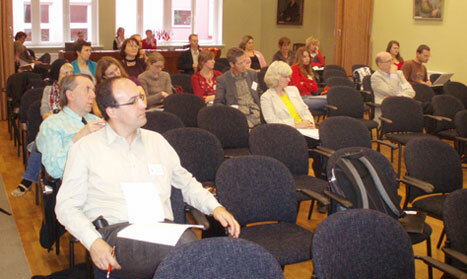 That also goes for Tartu, where this year´s conference took place. Very different from Stockholm where I come from these places has been situated at the crossroads of cultures and history. The medieval Jaanikirk in sunset. Photo: Lasse NilssonIf you want to paint the broad background you can of course start with the Fenno-Ugric tribes settling down here at the banks of Emajõgi 5000 years ago. But if you travel through more recent centuries – or decades for that be – you will find the remains of Kievian conquerors of the 11th century, greedy brutal crusaders of several neighbouring powers trying to impose their systems of belief and economical soveriegnity on the Estonians. The German Order established their feudal system in the early 13th century and it remained to a great extent through the germano-baltic ruling classes until the WW2 – with shifting ruling sovereigns over time. Not to forget the last century with 50 years of brutal Soviet occupation, part from the Nazis marching in the streets during the world war. I can´t decide what I was most impressed with, taking a stroll downtown Tartu in the early afternoon the day before the conference. Was it the ambience of the city with all the young students, all the inviting restaurants and the piously restored historic buildings? I have read the history books and know the heavy toll the city took under the advancing Red Army in 1944. could survive the war and its aftermath of Soviet deportations and death squads tracking down Estonian intellectuals? We got a glimpse of the work done by dedicated people in the national institutions under difficult political conditions, proud of their cultural heritage and at the same time aware of its importance for the future. Then it feels really important with the kind of networking and sharing of knowledge and experience that BAAC stands for and how it is manifested through, for example our conferences and workshops. The President of BAAC Juozas Markauskas opened this year´s conference at the Estonian Literary Museum – one of the organizations hosting this year´s conference - and welcomed the almost 70 delegates. He then elaborated on this year´s theme of the conference. A heartily welcome to the delegates was also extended by the hosts of the conference, the Estonian National Museum and its Project Manager Piret Noorhani, and the State Archivist Priit Pirsko, who especially underlined the importance of this conference in Tartu. Norwegian Ambassador Stein Vegard Hagen, this morning at the opening representing speaking for all three sponsors of the conference: the Norwegian, Swedish and Canadian embassies to Estonia, also emphasized the importance of this kind of cooperation between audiovisual archives. The first plenary session of the day dealt with aspects on documentation of audiovisual collections like Kurmo Konsa, Tartu University, who talked on “Information model of audiovisual artefacts and preservation problems”. He started out with the provocative question “Why should A/V archivist be interested in formal modelling?”. It was really a bracing starter of the actual conference and one of his conclusions especially striking: the influence of preservation on artefacts and processes. Zinaida Manžuch, Vilnius University, talked on “Monitoring digitisation of cultural materials in the European memory institutions”, part of the EU “NUMERIC” project. The project aims at defining the empirical measures for digitization projects in order to creating a tool for monitoring investments in such projects. Another and probably striking-you-silent view of what we are facing from now on we got from Olga Cerrato of Det Norske Veritas and her presentation on “Digital long-term challenges”. She gave a look into The Norwegian project on storage of digital information in the long term: “LongRec”, which is part of the international research project InterPares III. Questions like: How do we deal with migration of large quantities of digital information and the conversion of heterogeneous formats, obsolescence of hardware and file formats? Some striking facts: Who knows how to operate the DDR made computer Robotron today or the explosion of digital information in the world expected to be 8 Zettabytes 2015 (1 Z=1 million petabytes) which is 20 x 2008. How do we find routines and procedures for digital access through aeons? Not a bad intention for a project! The first “post-lunch” session of this day we got a vivid presentation by Vjaceslavs Emburs of the Latvian public service television LTV on public access to archival material via the internet, “National TV values into internet” . Check it out for yourself at: www.ltvarhivs.lv. Input selection of material is determined by rights and an evaluation of interest of audince. The most popular area of interest is Latvian series theatre/soap operas. Through cooperation with the Latvian Cinema Archive and the Latvian National Cinema Center this internet programming service has got access to a considerable part of the Latvian film production. Today this service can offer more than 10.000 programs. This is an pay-per-view service and ways of payment are through either internet bank, credit card, mobile phone sms or a special account. Starting from 300 viewers per month it is now an established service which attracts 40.000 viewers. The Norwegian Tedd Urnes, Teddview Audiovisual Archival Management (TAAM) gave a presentation on the theme “Unpopular sources: A strategy and philosophy of the archiving of controversial radio and television programmes and movie". He put a number of questions on the floor: What is to be found in the archives? What do we allow to interfere in selection: unintentional, intentional, for budget reasons, for “quality” reasons? Do we document the selection rules? The third presenter of this session was Karl Atle Knapskog, University of Bergen, Norway. He was delayed and couldn´t give his presentation “Providing cultural resources: On turning audiovisual archives into public domain.” until the following day. He gave an overview on the his present work on comparing national policies on access to audiovisual archives from the examples of INA in France, BBC in UK and NRK in Norway. The second session this first day contained the presentation of a great step in the Canadian audiovisual archiving world by Andris Kesteris, Library and Archives Canada on “Changing Values: Nitrates to Digitization”. Through the story of the Baltic-Canadian filmmaker Alberts Jekste and his company Atlantic Films and Electronics we got to follow how film production was carried out in pre-war Latvia and over the setting up and development of the company during several decades in the new country. It´s an interesting example on the necessity of preserving and digitizing the nitrate collections of the Library and Archives Canada for reserach and accessibility. Check out on their website about the donation of the Jekste material here! The second item on this session was a presentation by Rasa Miškinytė, ERA Film Lithuania. She was going to discuss “The use of archival footage in film production. Rights, access, management” in connection to her recently finished documentary “The Bug Trainer”. Unfortunately compelling postproduction matters had her to cancel her presence at the conference, but we were lucky to see her film at least . A most compelling story! Then every ran off to their rooms to prepare for the event of the evening: the opening reception at the University Café, this year generously sponsored by the Swedish, Norwegian and Canadian embassies. The Swedish ambassador Jan Palmstierna was there, giving the opening speech of the evening, as did the representative of the Canadian Embassy Ms Kairi-Liis Ustav and the Norwegian ambassador Stein Vegard Hagen. Second speaker of the evening was one of our hosta of the conference this year, the Managing director of Estonian Litterary Museum Janika Kronberg. The wine and other drinks were excellent as was all the goodies to nibble on. The spirits were high when we left in the evening. The second day started with the annual BAAC General meeting. What happened there you will find in the minutes of the meeting on another page on the BAAC website or through the link here. The fourth session started with Marcus Kolga`s presentation of “Global Museum on Communism”. It is a virtual portal on the subject of communism and its global legacy and will feature interactive exhibits and multimedia content. The initiators are the Washington D.C. based Victims of Communism Memorial Foundation. The preview site can be found at: www.globalmuseumoncommunism.org. The site will be launched in 2009. Anyone heard of a Washington D.C. based Victims of Imperialism Mermorial Foundation? Shouldn´t think so. The second presentation of this session was Piret Noorhani, Estonian National Museum “The Cultural heritage of the Baltic diaspora in the era of new media: Baltic Heritage Network”. The presentation was a thorough overview of the work collecting the heritage of the Baltic diaspora and the creation of a new NGO with representation of the three Baltic countries: The Baltic Heritage Network, focusing on thematic events, archival knowhow and gathering of information on Baltic archive abroad through the internet portal BaltHerNet. The third presentation under this session, “FIS database of Estonian Filmarchives” by Marold Kaus gave a brief overview of the creation of the Filmarchives Info System (FIS) . It was launched on the web in March 2008. 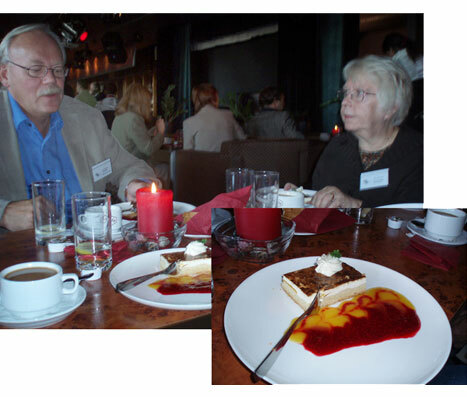 Pekka Gronow, Yleisradio in Finland, gave us their input under the heading “110 years of Finnish audio heritage. A plan for analog and digital preservation.” Starting out with sound recorded on wax cylinders and covering the whole development to compressed digital audio of the national radio today gives the scope. And from Zane Grosa, Latvian National Library we got “The /long and winding/ road to audio digitalisation: challenges and pespectives. The focus on the process: Mapping the the collection with many different formats, preservation history, the setting up of pilote projects, equipment, staff and copyright issues, finding ways of commercial exploitation of the results. The afternoon was dedicated to session number six and to professional tours of the hosting organization´s collections and exhibitions. Since Mr Victor Denisov of the Institute of Russian Literature was prevented from coming to Tartu, his report “Phonogram Archive of the Institute of Russian Literature: New ideas and new possibilities” was read by BAAC board member Andris Kesteris. The report dealt with the collections of the oldest sound archive in Russia, containing especially a huge amount of folklore and linguistic recordings from the early 20th century of the North, Siberia, Far East and Central Asia. 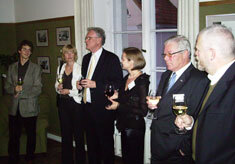 The tours started at the conference venue, the Estonian Literary Museum (TLM). 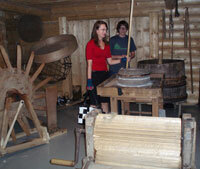 Part of the museum is a former 19th century townhouse residence of a wealthy Tartu merchant family. Very much of the building has got its original decorations left from the time when TLM moved in in the beginning of last century och luckily it survived the heavy fighting in Tartu during ww2 and 50 years of soviet censorship . That means the institution part from holding mainly collections on paper also includes vast audiovisual collections. The museum and its collections are not only open for academic research but also to the use of the interested general public. 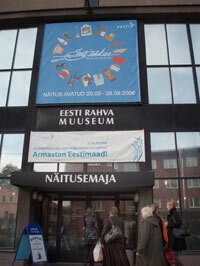 The other of our hosts to this year´s conference, the Estonian National Museum, has had close organizational links to the ELM during all its history. Like them the ENM also comprise a substantial photo collection, apart from the main collection of Estonian and fenno-ugric folk culture artifacts. Saturday the 27th was dedicated to a morning session comprising the remaining four presentations and a professional tour of the University of Tartu Library Estonian Historical Archives. Henri Laupmaa, Wiseman & Inspiral, talked on “Archival use of video and images in large organizations” through the examples of Skype, the Estonian Foreign Ministry and the City of Tallin. “On the authenticity of photographs in museums” was the title of Merilis Sähka´s presentation , discussing problems with the preservation of all documentation connected to a photograph. She also suggested an informational model of a photograph as a historical artefact including not only obvious data as persons, dates and right but also about the reproduction process used for a new image from the original. 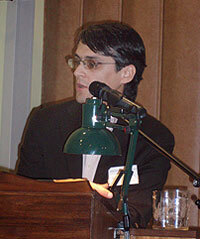 Eero Kangor discussed in his presentation “The problems of authorship and dating in the context of digitization". 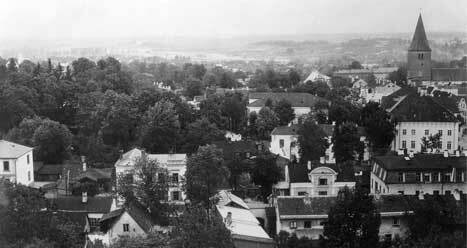 He used the photo collection of the Tartu University Department of Art History as a “jump-station” for a discussion on that “Digitization can increase the estrangement from the photographic document itself”. This special photo collection was started in 1922 and then abolished 1950-1994, moved several times during that period and the catalogue was lost until it became part of a national programme for digitization and re-catalogued a few years ago. EK claims that “The estrangement from the photographic document can be decreased by registering all those physical parameters of the document…”. Also that “Digitization should not only stand for the betterment of those conditions required for a better study of the object conveyed, but also those conditions that are required to maintain the sense of holding the document in our hands. “. “Conceptualizing audiovisual documenting in the Estonian National Museum” was the last presentation of this conference given by Pille Runnel and Taavi Tatsi, Estonian National Museum (ENM). The ENM plans to extend their existing collection policy launching an audiovisual documentation strategy by 2008 that comprise all kinds of audiovisual media. 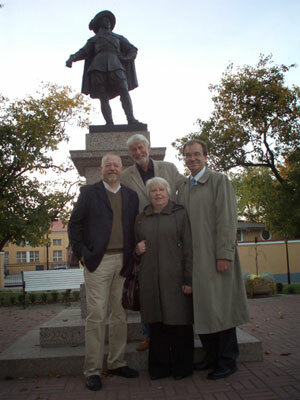 Wonder what Gustavus Adolphus (top, founder of Tartu University in 1632) would have said? Left: editor Lasse Nilsson, SVT.